We spent a wonderful morning in Versailles before heading back into Paris for a drenching as the spring storms rolled in. Thankfully, the sun re-emerged for Sunday as we defied the early morning traffic on Avenue des Champs-Élysées and wandered around the art markets of Montmatre. We even had time for a massive bowl of the best pho ever. I can’t wait to go back. This entry was posted on 26 February 2011 by maxabroad § photography. It was filed under 3. 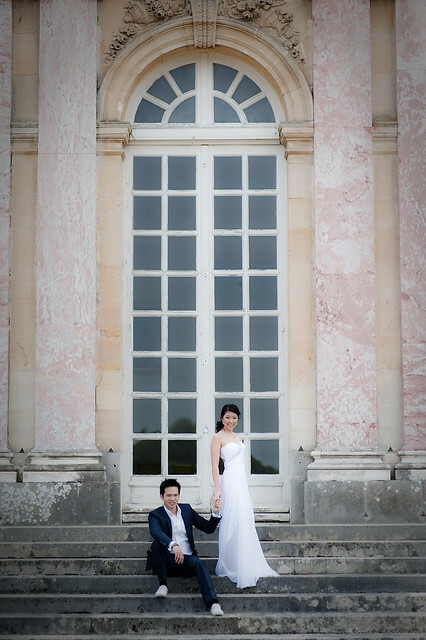 PORTRAITS, engagement and was tagged with engagement, paris, portraits, travel, versailles.